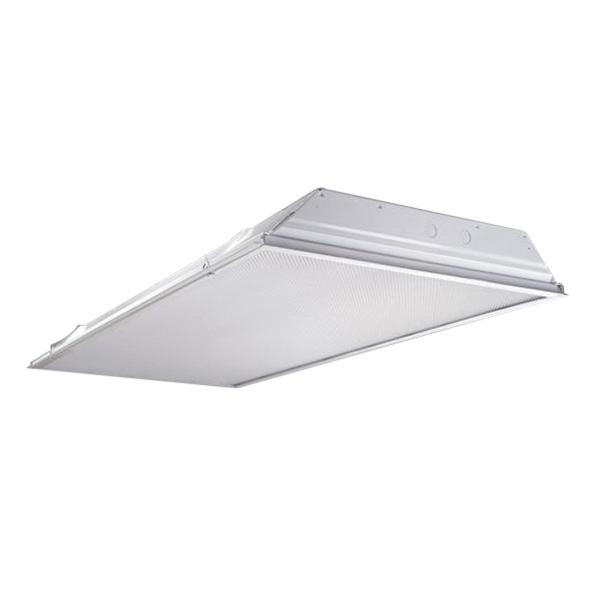 Cooper Lighting Metalux™ Collection Commercial general-purpose standard lensed troffer in baked white enamel finish, features die formed code gauge prime cold-rolled steel housing. It accommodates two 32-Watt T8 lamps. Lamp with electronic start ballast, has voltage rating of 120 - 277 Volt. Lamp has frequency rating of 50/60-Hz. Lay-in grid mountable troffer measures 24-Inch x 23-3/4-Inch x 3-1/4-Inch. It is suitable for commercial offices, schools, hospitals, retail merchandising and many other applications. It features full length stiffeners and unibody end plate for added strength. Troffer is UL/cUL listed.